The objective behind this move is to identify key customers in the Canadian market and jointly promote Quadruple's products and services in the region. Through this association several advantages will be observed, specifically with respect to Teckpath, which include a "strong customer base" the company has in the Canadian market. 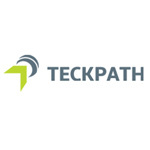 The partnership will also enable Teckpath to demonstrate expertise by aligning to the customer's requirement joining hands with Quadruple Business Services. Quadruple is a renowned Microsoft software development company catering to high end outsourcing services. 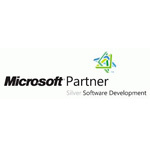 Quadruple has achieved Silver Certification from Microsoft® in software development. By acquiring the Silver level in software development competency, Quadruple has demonstrated its commitment to meet technology set forth by Microsoft in order to provide best in class Microsoft based solutions to our customers. Our partnership has enabled to demonstrate expertise by aligning to our customer's requirements joining hands with Microsoft. Earning a Silver competency had enabled to differentiate our services right from using the right set of tools, training and information that will help to delight our customers through leading-edge Microsoft based solutions and service offerings that address the customer's technology requirements. QEIP a novel and unique initiative from Quadruple, encourages the spirit of entrepreneurship, and the kindles the innovative mind, by allowing them to present their ideas on new business ways or business models. This highly impactful, interdisciplinary approach sets the base for our leaders of tomorrow. Well, how does the QEIP exactly work? 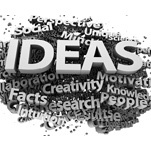 We first encourage individuals to come up with unique business or operational ideas. These are then discussed and the most practical and viable ideas are chosen for further enhancement and refinement , then chalked into a workable plan that lead to the formation of an ancillary unit or a seperate business model. Well, now the owners of this concept or idea become the leaders of stakeholders of the budding business unit. To encourage the spirit of entrepreneurship among employees. Creating an environment for innovations. Promotion of technology based new new businesses/ancillary units. Creating value added jobs and services. Mobilize support for commercialization of R&D outputs. Leading Quadruple in a complex, changing world. Creating an Environment for continuous improvement and innovation. Identifying leadership qualities in our employees. 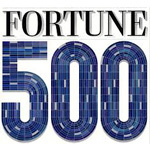 Building a sustainable leadership model for Quadruple in the future. As an organization, it is our critical need to invest in future leaders and nurture them to flourish as tomorrow's leaders. We understand that effective management of employee or human capital is essential to achieve our long –term business goals. Organizational success is only possible by identifying right people and by providing training, tools, structures, incentives, and accountability to work effectively. 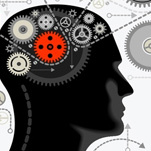 Equip our functional managers with advanced decision making skills. Prepare low and middle management employees with execution skills. To ensure that low and mid-level managers are ready to accept cross-functional responsibilities. Prepare potential leaders to lead from the front, facilitate change and innovation, and drive organizational growth. Through LEDP we nurture the employee's potential with formal mentoring and personal coaching. Promising candidates are provided with the necessary training and assignments that help them to grow and develop a passion to embrace the spirit of learning and leading.